New Honda CBF Stunner FI sports tubeless tyres in the front and rear and is a CBR inspired bike with several firsts in the 125cc segment. Check out the review to know the features, technical specifications & price. Honda Company has come up with its ramped up version of CBF Stunner, the New CBF Stunner PGM-FI. This launch is seen as a strategic move by Honda Motor and the Scooter India Pvt. 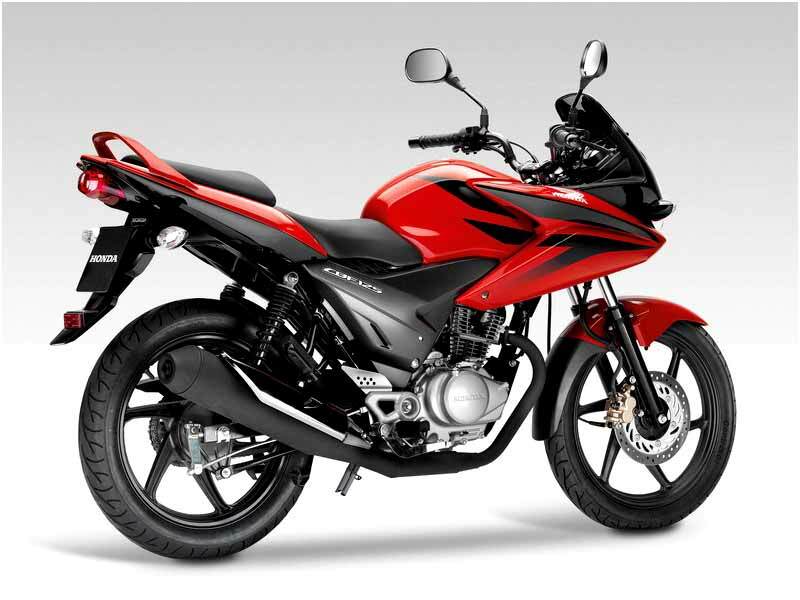 Ltd. to increase the market share in the 125cc bike segment. The New Stunner FI delivers 11.6 Bhp of maximum power and 11.2 Nm of maximum torque. Even though the bike is expensive in its class it has convincing reason for the costly price. The city bikers readily pick up the bike without considering the price factor and of course it is the smashing look and build quality of the bike which prove as an ultimate desire for the young bikers. The CBF Stunner PGM-Fi motor is now fuel injected and is euro-III compliant. The FI produces 11.6 bhp of max power at 8000 rpm and 11.2 Nm of peak torque at 6250 rpm. The bike uses PGM-FI technology to increase the fuel efficiency to 65 kmpl. The FI technology is smooth and the power delivery is consistent on the tarmac with uniform acceleration. The five speed gearbox is precise and slick. The FI version is inspired from the CBR range with minimal graphics and comes in dual shades. The Stunner CBF Sticker has been shifted to the fuel tank shrouds. The bike has low on maintenance as it has viscous air filter and a maintenance-free battery. It has a CBR1000RR-inspired dual tone styling and a trendy half-chain case. The attractive features include Bank Angle Sensor, Premium 3-D Emblem, Handle Weight and the premium key. The instrument cluster is offset from the handlebars and placed nicely in a separate compartment. 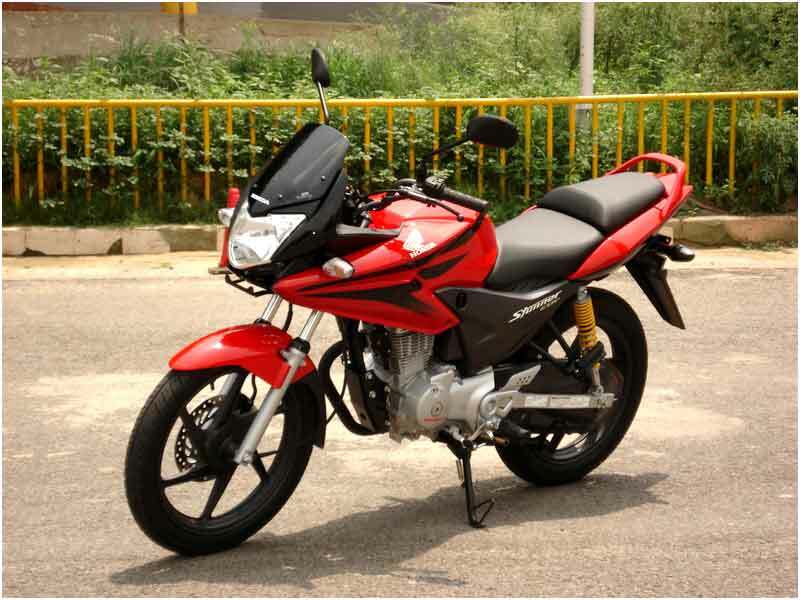 Honda CBF Stunner PGM- Fi is the first bike in the 125-cc segment to have tubeless tyres both at the front and rear. The 17" alloy at the front and rear lends sporty looks to the bike. At the rear, it uses broader 100 section tyre. The bike comes with several firsts in the 125cc segment such as integrated front cowl, sporty split seats, wider tubeless tyre and a sporty foot step holder. Honda has also improved the suspension and reworked on the foot pegs. The suspension, brake and other mechanicals have been given a lift from the earlier carburetted version. And for the safety part, Honda has offered a bank angle sensor which cuts off fuel if the bike banks on the either side beyond a certain limited angle. The new handlebar weight is an ingenious addition to tame the vibration of the bike. The new FI engine and handlebar weight combat the vibration to some extent but is still evident above 60 kmph. The steering is well balanced and the brakes operate well and can halt the bike suddenly. 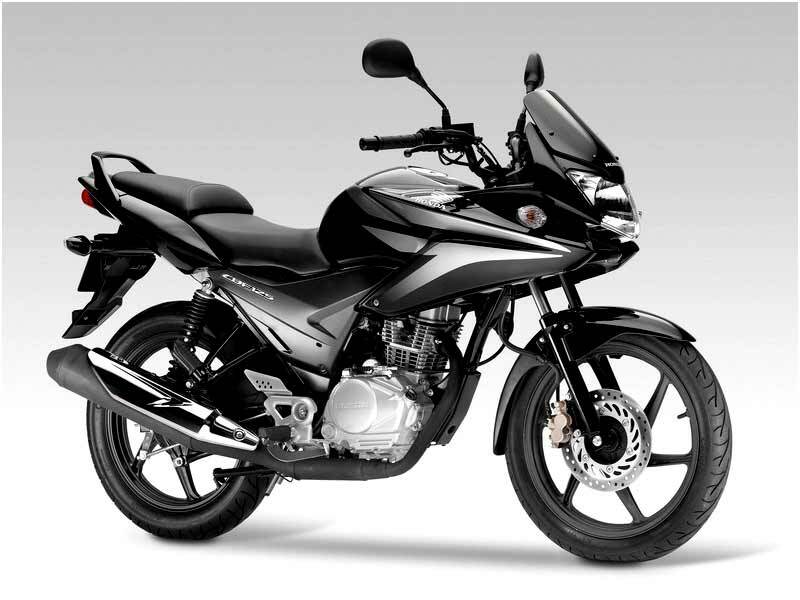 Style and performance is the identity of CBF Stunner as the motor bike gives a mileage of 60-65 kmpl. Honda CBF Stunner PGM- Fi is available in 2 colours of CBR Red and CBR Silver Metallic.